Katherine Mansfield has been described as courageous, contradictory, self-willed, single-minded, argumentative, elusive, in both her life and her work, and always defied the attempts of posterity to pin down the qualities that fascinated her contemporaries. Bertrand Russell admired her brain and would have liked to seduce her; Virginia Woolf said she ‘stank like a civet cat that has taken to street walking’ but admitted that she loved her ‘I suppose in my own way’, and that Katherine was the only writer whose writing she was jealous of. Could Oscar Pistorius Defence team – be in trouble? A retired South African Judge has claimed that the repercussions of a newly leaked video showing the athlete re-enacting the events of the night he killed his girlfriend are “enormous” and could lead to Pistorious’s Defence team, including Barry Roux being stripped of their right to practice law. Former Zimbabwean High Court Judge and Acting South African High Court Judge Chris N Greenland made the comments whilst speaking to me on 106.9 SFM saying “if the defence team…acting for Oscar, knew the true position and then lead this evidence to the contrary, the implications and repercussions of that are enormous and could actually lead to disbarment”. Also worrying for the defence team, Judge Greenland said that the video could also lead to the prosecution of Professor Wayne Derman – who finished giving evidence on Monday. Derman, a professor of sports medicine, had worked with the athlete for many years and claimed in Court that Mr. Pistorious had limited mobility whilst on his stumps and that his disability had left him feeling vulnerable. However, the leaked video counters Mr Derman’s claims of Oscar’s mobility and vulnerablity and it’s implications were “very serious”. 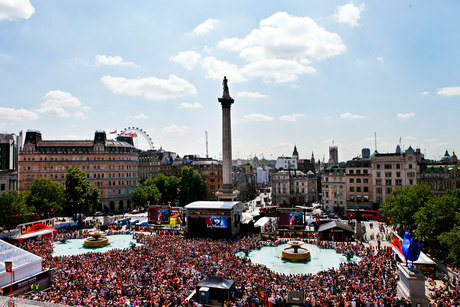 Thousands of people gathered together in Trafalgar Square at the end of June to enjoy West End Live – a free event that showcases the very best that London’s West End has to offer. There were performances from 25 West End shows including an appearance from The Royal Opera House Chorus, conducted by Pla-ci-do Domingo; the English National Opera and an exclusive of Michael Flatley’s Lord of the Dance: Dangerous Games. A huge highlight of the weekend – saw old favourites take to the stage once more including Avenue Q, Chicago and Priscilla Queen of the Desert the Musical – all presented by Oliver Tompsett. Monday Matters sent our roving reporter – Bonnie Britain along to cover the event which celebrated it’s 10th year – of showcasing, for free – the best of the West End.